Often, when we hear the word ‘infestation’, we think of an infestation of bugs, mice, rats, or even squirrels. What most people don’t consider however, is the threat of a raccoon infestation. Despite their larger size, they invade homes much in the same way as other critters, and have the potential to leave much more destruction in their wake than their smaller counterparts. Raccoons have a well-deserved reputation for carrying a variety of dangerous diseases like rabies and leptospirosis, which makes it critical that they be removed from your home as quickly as possible. Even if you think you’re able to, do not attempt to remove raccoons on your own. They have a tendency to become aggressive if they feel cornered or threatened, and can do some serious damage. 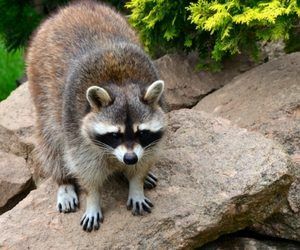 The raccoon control experts at Critter Control® of Orlando can get rid of the nuisance critters from your home quickly, while keeping you and your family out of harm’s way. For any questions or to schedule a complimentary home consultation, call us today at 407-295-7194.